Looking for the perfect lectern to meet your needs? Amplivox has different lines of lecterns to fit your every need and help you increase profit and effectiveness in your business. 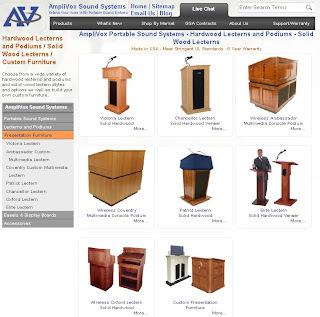 Whether you need a lectern with speakers, a church pulpit, a wooden lectern for an educational setting, a granite lectern for a business, a wireless lectern for its mobility, or a presidential podium for press conferences, Amplivox has something to meet your lectern needs. Executive Adjustable Height Sound Column Lectern -- This adjustable podium combines adjustability and a stylish wood podium that is available in three models: wireless, with sound, and without sound. Multimedia Lectern Utility Computer Cart -- Keep your technology (desktop and laptop computer, projector, etc.) safe and easily accessible in this computer cart/speaker lectern. Roving Rostrum Podium -- This versatile device combines a PA system and a portable lectern design to give you a tabletop podium capable of being the perfect team player for your organization. Pinnacle Multimedia Hardshell Plastic Podium -- This indoor/outdoor podium is virtually indestructable and can take a beating. In the sound model, it comes with a built-in gooseneck mic and lets you stand up to 18" away and still be heard loud and clear! Still not find what you are looking for? Amplivox offers custom lecterns and podiums and custom lectern packages that are built according to your specifications. We offer many different styles of lecterns and podiums made from several materials including: acrylic, plastic and environmentally friendly wood. Questions about lectern sales? 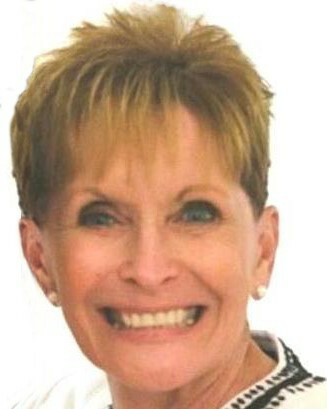 Give us a call toll-free at (800)267-5486 or email us and we will get back to you ASAP!